I've had a month full of interesting beauty bits, so I thought I'd share some of my favourites with you! Liverpool Debenhams finally opened a Kat Von D Beauty counter back in May, and I've visited roughly once a week since. 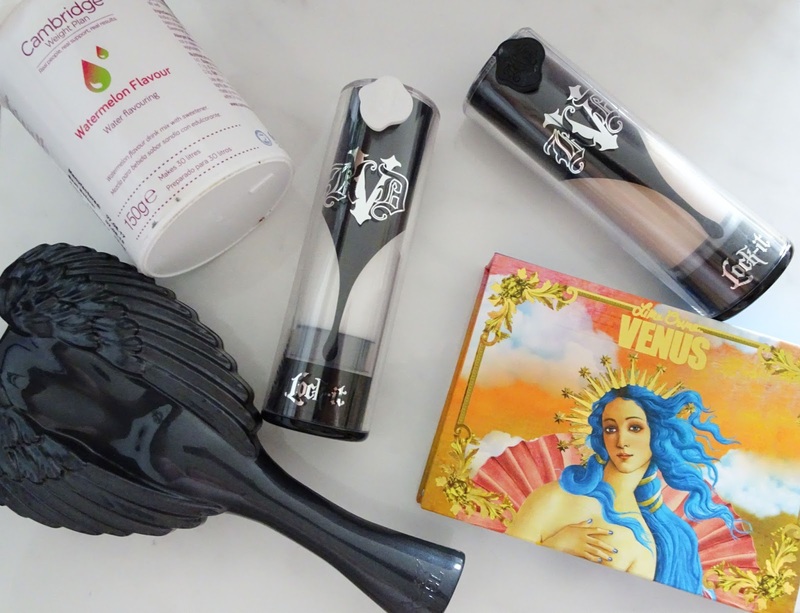 I've managed to pick up the Shade and Light Contour and Eye palettes, the Plum Quad, a foundation brush, an Everlasting Liquid Lipstick in Crucifix, a Studded Kiss Lipstick in Adora, Lock-It Primer and Fixing spray, and Lock-It Foundation in Light 44. Seeing that all written down makes me think I have a bit of a problem. Anyway, the Lock-It Foundation is easily my current favourite foundation. The coverage is absolutely insane, the colour match is spot on, and the staying power is second to none. I tend to sheer this out a little bit with half a pump of primer, so it isn't like a layer of shellac on my face. I'd highly recommend you go get a colour match done at a counter if you're considering it. This palette was a gift from Michala for my 26th birthday and is an absolute work of art. 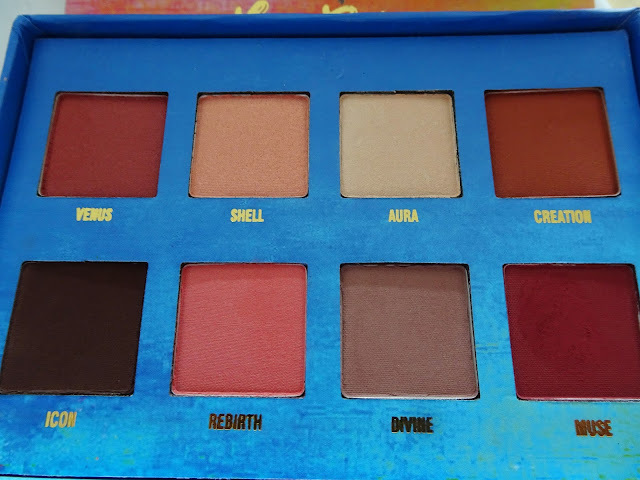 The packaging is stunning, and I am all about these warm tones. The pans are a pretty decent size, and I've found the shades pretty easy to work with. I've read a lot of mixed reviews of Venus, and I'll be honest 'Muse' and 'Venus' have both stained my eyelid more than once. I find using primer definitely helps me, but I would bear that in mind if you're looking at purchasing this palette. I have a Tangle Teezer, and to be honest I find it doesn't quite work for me. I get Repetitive Strain Injury in my hand a lot, being on the computer and phone almost all the time, so I can sometimes find them painful to grip. Along with that, all the bristles have bent, so it's safe to say it has definitely seen better days. 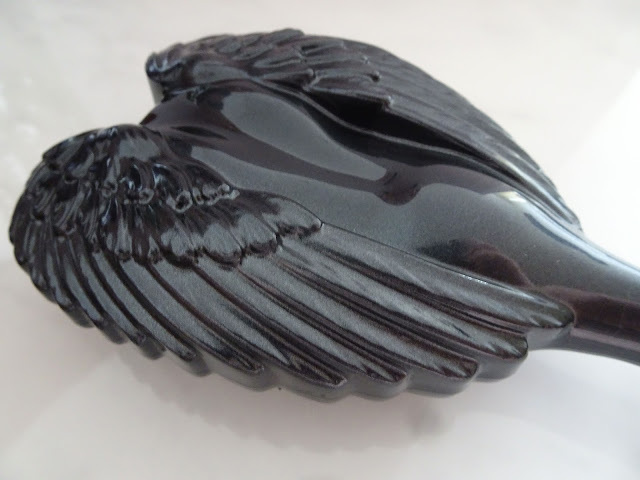 The Tangle Angel is very similar to the Tangle Teezer in that the bristles are designed to gently work out knots. Gone are the days of your Mum having to rag a hairbrush through your wet, knotted hair and eventually losing her rag and hitting you with the brush. It's heat resistant, anti-static, and anti-bacterial, so you don't have to worry about it going all horrible after brushing it through wet hair. I plan to write a whole post about my recent diet change, but I've found my Cambridge Water Flavouring to be a huge help in cutting down on the fizzy drinks that I have almost daily. Half a teaspoon of the lemon and lime flavouring, with a bunch of ice, a little water and blended makes a delicious slush that keeps me hydrated and away from the Pepsi! What are your current favourites? Have you tried any of these? If you liked this, you'll love Cover FX Custom Enhancer Drops: Halo.